"We support Israel’s right to defend itself," says U.S. State Department. Netanyahu thanks Obama. The United States expressed support for Israel on Wednesday, after the IDF launched Operation Pillar of Defense in response to the ongoing rocket attacks from Gaza. “We strongly condemn the barrage of rocket fire from Gaza into southern Israel, and we regret the death and injury of innocent Israeli and Palestinian civilians caused by the ensuing violence,” State Department spokesman Mark Toner said in a statement. “There is no justification for the violence that Hamas and other terrorist organizations are employing against the people of Israel. We call on those responsible to stop these cowardly acts immediately. We support Israel’s right to defend itself, and we encourage Israel to continue to take every effort to avoid civilian casualties,” he added. Prime Minister Binyamin Netanyahu later spoke with President Barack Obama. The Prime Minister expressed his deep appreciation for Obama's support of Israel's right to defend itself. Earlier, Netanyahu spoke with U.S. Vice President Joe Biden and European Union High Representative for Foreign Affairs and Security Policy Catherine Ashton. It is expected that the Prime Minister will also speak with other world leaders. Earlier, President Shimon Peres also spoke to Obama, telling him that Israel did not want things to escalate but was forced into a position where it had no choice but to defend the population in the south that was exposed to unbearable conditions. “For five days rockets were continuously fired at Israel. Mothers and children cannot sleep at night. I visited Sderot this morning (Wednesday) and saw with my own eyes the pain of the mothers and children, the difficulty of the south. 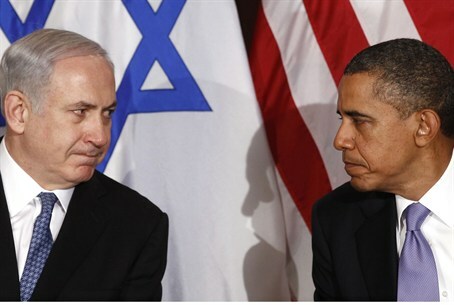 There is a limit to how much Israel can absorb," Peres told Obama.